Attorney General Barr promotes Donald Trump’s long-running assault on FBI investigations, including of Trump-Russia links. Trying to undermine both the FBI and Mueller’s team, Donald Trump has portrayed the investigation since 2017 — with his firing of FBI Director James Comey and other officials — as an attempt at a “deep state” coup. In fact, the FBI had monitored Carter Page, a Trump campaign advisor, since 2013 on suspicion that Russian officials were recruiting him as an agent. That investigation and other evidence of Russian interference in the US elections led to the issue of a surveillance warrant by the Government’s FISA court in October 2016. Minutes before Barr testified , Trump repeated that the investigation was an “attempted coup” and again falsely claimed that he had been “totally exonerated” by the Mueller Report. It was an illegal investigation. Everything about it was crooked — every single thing about it. There were dirty cops. These were bad people. This was an attempted takedown of a president. And we beat them. We beat them. To the extent there were any issues at the FBI, I do not view it as a problem that is endemic to the FBI. I think there was probably failure among a group of leaders there at the upper echelon. The Attorney General presented no evidence to support his statement. Both Deputy Attorney General Rod Rosenstein and Dana Boente, now FBI General Counsel, approved renewals of the FISA warrant for surveillance of Page in 2017 and 2018. Trump and his inner circle have countered with false claims that Obama ordered surveillance of Trump Tower in New York City, including through microwave ovens. On March 24 Barr issued a four-page letter, purportedly summarizing the Mueller Report, which protected Trump from criminal proceedings and political scrutiny. The Attorney General said the report, submitted to him two days earlier, had found no coordination or cooperation between the Trump campaign and Russian officials — obscuring whether there was collusion, through knowledge or encouragement of Moscow’s intervention. He ruled out any pursuit of Trump for obstruction of justice, even though Mueller found evidence supporting the charge. Last week Mueller’s team, through former and current Government officials, said their summaries of the report’s section had been ignored by Barr as he preferred to put out his version in the letter to legislators. The Attorney General did not meet an April 2 deadline, set by the House Judiciary Committee, to hand over copies of the report. 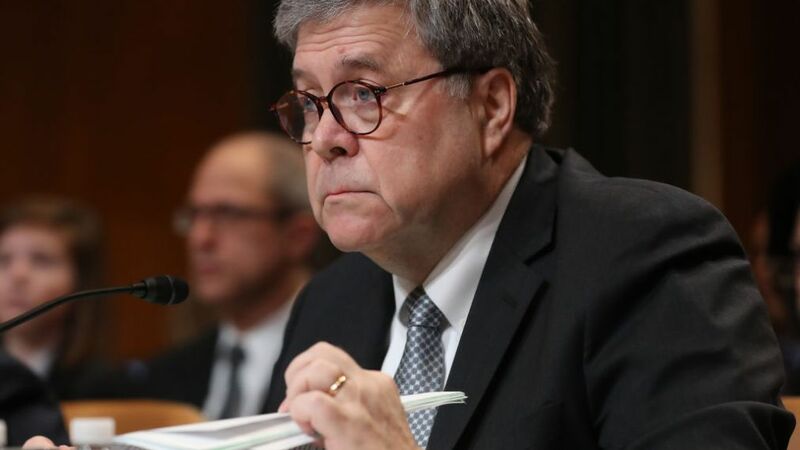 Barr said he will provide copies by mid-April, but with redactions — including a “third party” clause which could remove passages concerning Trump.